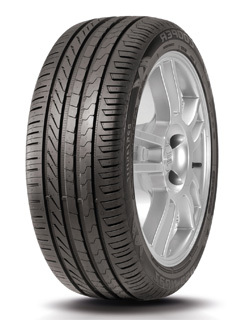 Designed for medium sized cars, the Cooper Zeon CS8 delivers ultra-high performance and excellent traction and handling in all summer conditions. Constructed with an asymmetric tread pattern design, this tyre delivers enhanced gripping capabilities in wet conditions and has been awarded an ‘A’ for ‘Wet Grip’ in some sizes by the EU Tyre Label. In addition, the Cooper Zeon CS8 achieves excellent wet weather performance and superior traction in dry conditions thanks to its specialist high dispersion silica tread.